Whether you're most interested in smartwatches, smartphones, charging stands, web browsers or mobile gaming, we've got some tech news for you today – read on for all the latest scoops from the world of gadgets and apps, courtesy of our friends at TechRadar. The Wear OS smartwatch scene has been relatively quiet recently, not least because chip makers haven't been upgrading the silicon that goes inside these wrist-based computers. That's set to change on the 10th of September, because Qualcomm is debuting a new smartwatch processor that should usher in a new wave of more powerful wearables. Firefox maker Mozilla has just introduced a new extension for its browser called Advance, which essentially gives Firefox a new forward button – you can use it to discover new pages of interest, based on your browsing history as well as the site you're currently on. You've now got no excuse for being bored on the web, because you can fire up Advance. 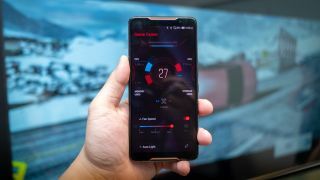 We're keenly awaiting the arrival of the Asus ROG Phone, which is packed with performance and features to take your mobile gaming to the next level – but as yet Asus hasn't revealed how much it will cost. You might want to get saving, because a Finnish retailer has put the preorder price at €999, which is £895/$1160 or thereabouts. Hats off to Logitech and Apple for partnering up on the new Powered wireless charger, which works with the iPhone X, the iPhone 8, and the iPhone 8 Plus. It acts as the perfect stand for watching movies and shows while your handset is getting juiced up, and it looks stylish enough to make us forget Apple's own AirPower charging mat still isn't out. Listen up if you're thinking of buying a Galaxy Note 9, due to be unveiled by Samsung tomorrow: new leaks suggest it's going to come with a 'value pack' of freebies, including AKG headphones, a carrying case, and possibly an exclusive copy of Fortnite for Android. We should know for sure what Samsung is planning when the official launch gets underway.